A big TV is a vital addition to just about any home. After all, all your evenings and weekends will be spent watching your favorite shows and HDR movies. That means that you should be comfortable, enjoying the experience. 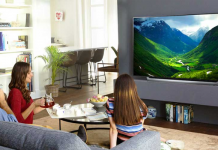 A 55" TV is the ideal new watching device; it will help you see colors in a new light, and the pictures and scenes in a new, HD resolution..
One thing is sure: You won't want to stop watching your favorite shows. The intuitive interfaces make navigating a breeze, and the menus are easy to maneuver around. Since such a big TV is a big investment, we spent countless hours researching the best 55" TV options for you to make the decision less daunting. From the greatest Samsung TVs to LG Televisions, we chose the best TVs that have satisfied many customers worldwide up to now. We know that having a reliable TV that will last for years is important, and that's why we invite you to take a look at the best TV options out on the market today. For those looking for smaller screens, we have reviewed our favorite 40 inch 4K TVs here. 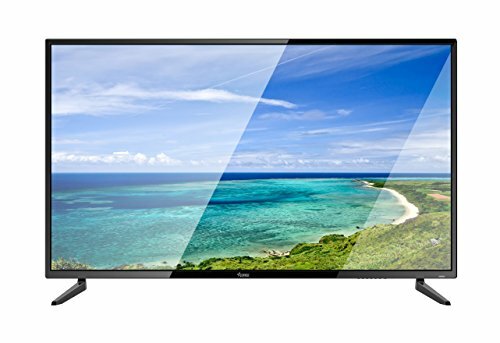 View the Best 55 Inch TV for Energy Saving Below. 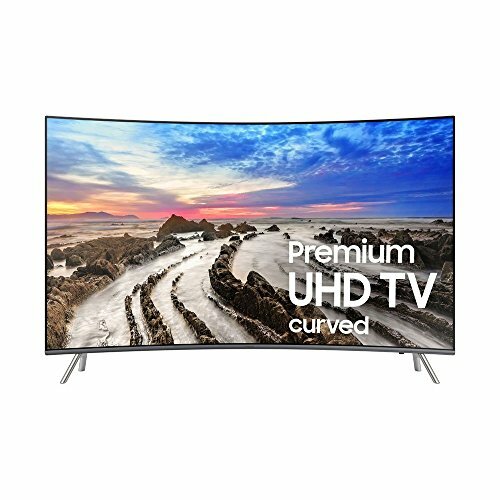 What To Look For When Buying A 55 inch TV? 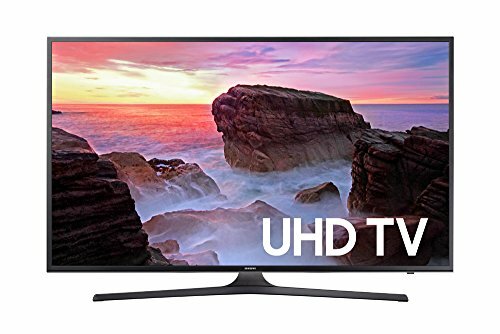 Best 55 Inch TV Under 1000 Dollars? 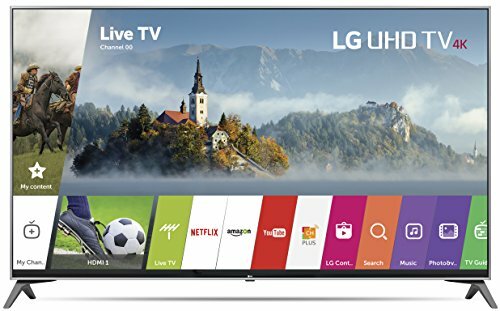 Best 55 Inch TV Under 500 Dollars? 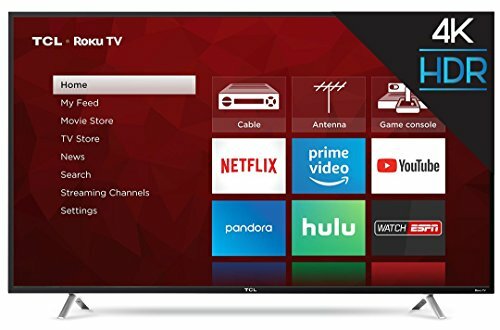 Best 55 Inch Smart TV? Below are all of our favorite 55inch TVs. They all have interesting features, reliable mechanics, good designs, and a fantastic reputation. Hopefully this list will help you narrow down your options so that you can choose the ideal 55inch tv for your home. We can assure you that no matter which TV you choose from this list, your viewing needs will be satisfied one way or another! Looking for a bigger TV? No worries! We've reviewed the top 65 inch TVs, too! Samsung is definitely one of the biggest TV Manufacturers in the home cinema and technology market. It's for good reason, too. Their devices are reliable, last a long time, are a good investment and aren't too expensive. All the modern features that their TVs offer also allow them to be at the very top of the ranks. 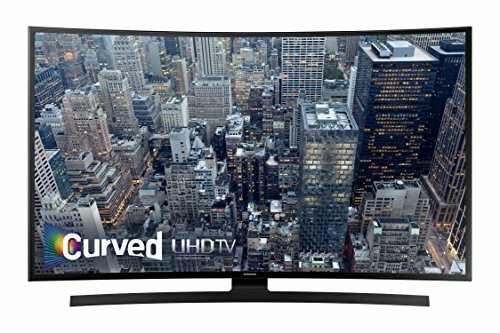 For example, this Samsung MU8500 curved TV has been on the market for only over a year and has already gathered over 100 positive reviews. Reviews with satisfied customers that are now happy that they decided to implement this 55inch TV into their home. If you are looking for a TV that will allow you to enjoy your evenings, whether they are spent with family, loved ones or friends, then we can 100% recommend the MU8500 as the Editors Choice. Even though curved TVs are usually only a fashion statement, they sure do look good, and Samsung knows that. That's why they decided to also make this 55-inch 4K TV as appealing as possible, giving it the iconic, modern, curved 4K screen. The Editors Choice MU8500 curved TV prides itself for its ability to give the viewer the ideal balance of contrast between the darkest darks and lightest lights. This helps enhance the watching experience, giving a lot more depth to the picture. Check out the Samsung MU9000 as an alternative. The Triple Black feature will also allow you to see all those details within the dark scenes of your favorite movies that you may have been missing. It will help you see even the tiniest details, which means that you will finally get to experience what the director wanted you to, from the get-go. The MU8500 will allow you to enjoy a billion more shades, hues, gradients and color variations than the standard HDR TV would allow you to. This means an enhanced picture for everyone, no matter at what angle. The 240 Motion Handling Rate will help bring video games and sports to life like never before. You will remain stunned at how well this 4K TV can capture motion, without blur and input lag. The crisp action will allow you to enjoy all your movies and video games like never before. Why We Liked It - No matter where you sit, you can be sure that you will be engulfed within the scenes of whatever show or movie you will be watching. Cable carrier may need to be double checked upon purchase. Here we have another candidate from Samsung, this time the Samsung KU6500. The two TVs vary in quite a few aspects, beginning from the stand. The KU 55 inch 4K Ultra HD TV has one single stand in the middle supporting the TV, the MU has stands on both edges of the TV. The KU's edge border is also about 0.7mm thicker than the MU, its total width being about 0.67". All in all, the TVs are pretty similar if not for a few distinct features appearance and menu-wise. Both of them are solid TVs, however if you are looking for a sturdier option we might just suggest going with the KU 55inch 4K Ultra HD TV. The thicker border and slightly heavier design in general will help keep the TV secure on the stand; if you have any kids or pets at home, this is definitely a huge plus. With the KU, you will get stunning detail thanks to the 4K Ultra HD resolution that is now a standard among many quality TVs. This means that you will see the picture at least 4x or more sharper than usual. You will be able to distinguish all the small, dramatic details that would otherwise remain unseen. Thanks to the slim design of this 55inch 4K Ultra HD TV, you will be able to experience the best picture from every seat in the room. The immersive curve will allow you to follow the movie more in-depth than every before, experiencing the action right along with the characters. Thanks to all of the color, contrast ratio, sharpness and local dimming advancements, you will be able to be fully immersed in whatever show you will be watching. The viewing experience will immediately become more vibrant and engaging, allowing you t enjoy quality entertainment for hours. 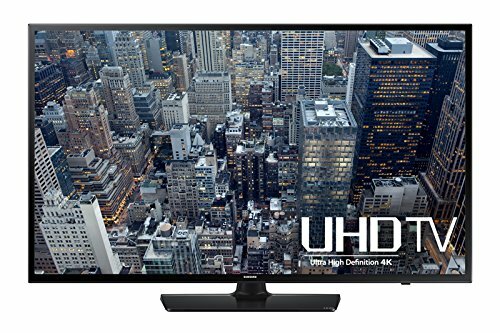 The Upscaling Picture Engine of this KU 55 inch 4K Ultra HD TV will help make low resolution shows become more HD, providing you with a new experience, even when watching your favorite old shows. The optimized picture and detail are clearly visible in a side-by-side comparison, and cannot be beat. Why We Liked It - The 55inch 4K Ultra HD TV itself is very reliable, performs great and has been serving many customers for years now. It's ideal for people who want to experience a little more for less. Getting a quality HD picture while staying on a relatively reasonable budget can be hard, and we think that the KU manages to provide such an option perfectly. If you have a budget in mind, you may wish to consider these 55inch TVs under $1000. or these top-rated 55" TVs under $600. This time around we have a product by VIZIO. With its headquarters being in Irvine, we can say from the get-go that this company is located in a hot-spot of success. They are also the nr.1 Sound Bar Brand in America, which is no small accomplishment. Their goal is to help deliver quality, reliable, modern devices with the latest tech to all customers at an affordable and reasonable price. Their customer base keeps growing, and their manufacturing keeps improving. Thanks to this adaptive attitude, they are one of the best companies on the market, and keep evolving with every year. The VIZIO TV D55 is a 4K TV that will help you explore new horizons, when watching both old and new TV shows. You will be able to see all your old movies through a new lens and through new experiences. The 55 inch 4K Ultra HD TV itself isn't curved, however it does have two sturdy stands on either edge. This helps support the full weight of the 4K TV perfectly, helping it remain sturdy in a busy household. 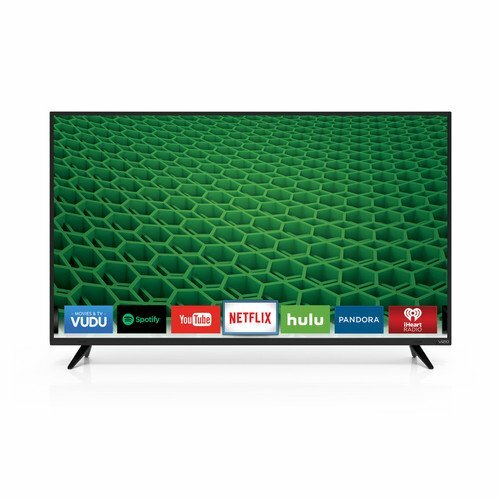 The Vizio 4K TV delivers a wonderful quality of picture combined with a good, affordable price. It's easy-to-use, and the 4k Ultra HD graphics provide every viewer with detail and clarity that have not been available ever before. The Vizio will also give you access to the Internet Apps Plus, which is a program that allows you to surf through the renowned apps like Netflix, YouTube and more. With over 8.3 million pixels working together to give you the best picture experience possible, you can rest assured you will only get the best of the best with this Vizio TV. The Spatial Scaling Engine will convert every movie, TV show and HDR game into a 4K Ultra HD format. Everything you watch and play will be in 4k UHD HDR and you will be glued to the screen within minutes of being exposed to this addictive dose or brilliance! The 10 active LED zones will adapt on their own to each picture, and help dynamically adapt each scene to show the contrast ration between the darkest darks and brightest lights. This will help establish more depth when watching each and every movie, providing an indirectly 3D experience. Why We Liked It - The detail and clarity that UHD provides you with is unbeatable, and will allow you to see all your HDR movies in a new light. The 4K resolution also helps give you the best HD picture possible. Once again we round our way back to another great Samsung TV, this time we have the Samsung JU6700. It definitely looks more posh and grounded than the two other Samsung's we listed. The stand looks highly secure and you probably won't be able to knock down this TV easily. 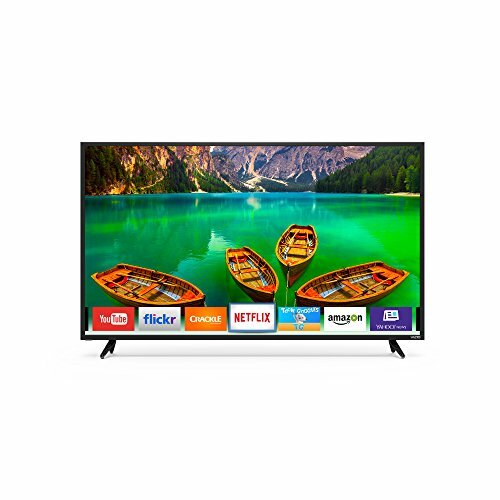 TheJU6700 is packed with many picture-enhancing features, and is the ideal TV for any home that wants to liven up the entertainment side of the house. The TV looks great both appearance and picture-wise. With the Smart Remote control you will be able to quickly and easily navigate through all of the apps. From Netflix to YouTube, the TV has all of the necessary menu options to help you enjoy a relaxed evening with your friends or loved ones. The slim curve of this Samsung allows for a great, panoramic view of the screen that will help immerse everyone around the room. The 4k Ultra HD resolution allows you to see every small detail, no matter if it's located in the darks or lights. You will also be able to screen everything you are doing on a compatible device, like a phone, on the Samsung. If you are tired of a slow-moving, boring and bland picture, then we can assure you that the Samsung will rock your world. With the lifelike image quality, the UHD resolution will give you accurate screen rendered pictures that will be up to 4 times as the average HD TV. The UHD Local Dimming will allow you to see deep darks, pure whites and overall more enhanced and lifelike detail thanks to the technology. Samsung focuses on picture clarity, and their screens definitely show this. An Auto Depth Enhancer helps optimize the contrast in each and every scene of the movie or show. The picture then becomes clearer, almost 3D looking with fantastic contrasting qualities. The picture also isn't distorted and creates an almost cinematic feels that helps immerse the whole family from every angle. Why We Liked It - It's the ideal 55inch TV for any action-packed home, surrounded by kids and pets alike. The slim curve of the screen will allow every family member to be engulfed in the magic of each and every movie and/or TV show, too. Here we have yet another Samsung on the list, the Samsung JU6400. One of its best features is the fact that it's listed as an EnergyStar product. This essentially means that the TV will be using less energy than any other regular TV in your house. You will have lower electricity bills, and more time to enjoy the upcoming TV shows and movies. Too often do we sit and wonder about the bills that the TV is costing us, and Samsung was aware of that issue. That's why all of their newer TVs have energy-saving options, much like the EnergyStar feature. Even just switching TVs and installing this Samsung instead of your older TV will show a great improvement electricity-bill wise. The contrast helps enhance all of your shows and TV shows, giving them an almost 3D looking effect. It's 100% the most realistic feature that will help you give a lifelike experience on a normal, flat screen. Thanks to the easy-sharing feature of the Samsung, you will be able to share all sorts of content between your TV, mobile devices, and much more. The powerful Quad-Core Processor helps improve the performance of the TV and will allow you to multitask with ease between the apps. All the stream content will work quickly and won't have any input lag that could interrupt your watching or screening experience. The PurColor technology will give you the best, most vibrant colors available. They will be accurate, natural, and have all the realistic shades that true colors have, in our everyday life. All primary and secondary colors will blend seamlessly, give you a splendid color experience. The Ultra Clear Panel technology will give you the ideal experience from all viewing angles. Even at an angle, no scene or picture will look diluted or less-HD. The flat screen will absorb ambient light, soften reflections, and give you and your family the best screening experience. The Samsung is very compatible and comes with four HDMI ports, three USB ports. You will also get built in wifi, and the TV itself also supports the Samsung Anynet+. Why We Liked It - The TV itself is packed with useful features like built-in wifi, an LED backlight, a sturdy stand, a 4k UHD resolution, a contrast enhances and much more. All in all, the JU6400 is definitely meant to enhance your viewing experiences, and manages to do so splendidly. And finally, we have the last Samsung product in our best TV batch of products. The MU6300 is a 2017 model that will bring life and realism into your home through the help of one screen. If you are unsure about what TV you should use to decorate your living room with, then this Samsung should be a fantastic choice. The slim design and appealing dimensions make it the ideal TV for any busy home. Entertainment is important after long, hard-working day, and the MU6300 will make that entertainment enjoyable, relaxing and convenient. Thanks to the easy-to-use interface, menu and app layout you will be able to cruise through your favorite programs seamlessly. Samsung is know for providing comfort, and ease of use, and they definitely managed to include both of those within this design. It's carefully manufactured, looks great, and has all the necessary features of a good home TV. 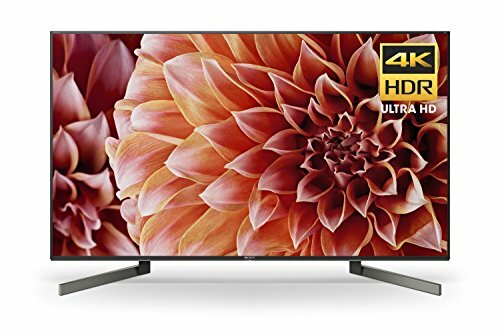 With a full 4K resolution picture, you'll clearly see the difference between this TV and the average non 4K TVs you see displayed at the local shops. The picture is crisp, clear and a represents life in the best spotlight possible. The vibrant colors that come with this Samsung are definitely something to look out for. Samsung designed this TV in an attempt to help mirror real, lifelike wide colors that we see every day. We can testify to the fact that they 100% managed to do their job. The TV looks stunning thanks to the 4K Resolution Color Drive feature. Has sharp contrast, immersive viewing and fluid motion handling, which helps enjoys sports and games more than ever before. Thanks to the Samsung Smart Hub you will be able to quickly find your favorite music, shows, video games and much more. The SmartRemote also automatically detects all the devices connected to it and controls them all at once. The only requirement is that the devices need to be connected by the same wifi connection. 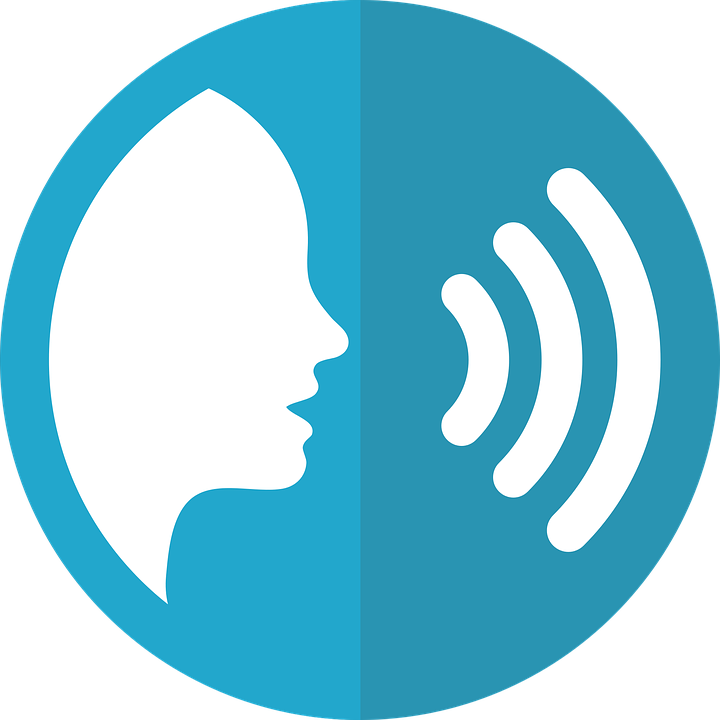 With voice navigation you will also be able to put down the remote and let the vocals do all the work. If you are eating, too busy entertaining friends and other guests, you can quickly address the TV with a few demands and forget any remote scrolling and searching. Why We Liked It - With an HD flat screen, a reliable interface and a good reputation, there's not much that can go wrong when purchasing this TV. You will find yourself amazed at how smooth, bright and realistic the picture is, and you won't want to leave your comfy sofa place. Next on our list we have the LG Electronics 55inch 4K TV. Supported by two stands on each edge, you will be able to rest assured that this TV won't be tipping over on its own. It's a sturdy construction that also has an appealing, thing screen and border so that it fits in with the modern aesthetic of every living room. Quite often you can also catch this LG on discounts, which makes it the ideal bundle you can gift yourself during any season. Being a 4K Smart TV, it has all the necessary modern features that every TV should have and adapt to. Mainly, it allows for easy app access and has a good wifi connection. The response input lag for gaming on this set is only 12ms, which are stunning statistics, and aside from the now regular Dolby Vision, it also has HDR10. With the webOS you will be able to access all the popular streaming devices and apps like Netflix and YouTube all from within one, easy-to-use flat screen. You will get access to over 70 free internet channels thanks to the LG Channel Plus App, allowing you to enjoy a long night off or a relaxing weekend right there in front of your TV. With over 100 free IP channels available, you will be able to access all sorts of programs that will help you enjoy your evenings better. With a 4K resolution, you will also be able to enjoy all your shows in HD, nearly 4x as crisper looking as the usual, average TV. You can discover new entertainment, or stick to the old tried and tested, and let the LG wow you with how it adjusts old TV shows to its HD screening. With Sling TV you will be able to personalize your channel set-up so that it fits you and your habits. No matter which programs you use the most, you will be able to arrange them in a way convenient for you. The colors with this LG 55inch 4K TV are more accurate than with their previous models, and thanks to the advanced color mapping you will only get the most vibrant, lifelike colors. You will also be able to experience quality contrast from every angle thanks to the IPS technology, which is In Plane Switching. The rich colors of in this 4K Smart TV will remain consistent at all viewing angles, no matter where you sit. Why We Liked It - Being an Amazon's Choice product and having over 200 positive reviews, it's easy to see why this TV has won the hearts of many. The LG 55inch 4K TV has been reported to be made to last, and so far many customers are 100% satisfied with the durability and performance. With another quality LG TV making its way onto our list, we are ready to introduce the J8500. Supported by one sturdy half-moon stand, this TV is the ideal addition to any home that needs a new TV. With many of the modern app features, you will be able to choose and watch all your favorite TV shows within seconds. The Nano Cell Display itself will help you enjoy those exact shows by allowing you to enjoy a billion lifelike colors. This wide spectrum of color is what makes this 55inch LG TV stand out among the others. Even old movies will look enhanced and new thanks to this new technology. You will forget about your regular shows, and get-down to watching all of your favorite oldies in true, HD resolution. The 55inch LG J8500, with its smart functionality, will allow you to access all the popular apps such as Netflix and YouTube within seconds, all thanks to the webOS. Also, the best recommended sound bars sound system devices for this particular TV include the: SJ7, SJ8 and SJ9. For the ultimate sound quality experience, we recommend purchasing these and installing them right alongside your new TV. 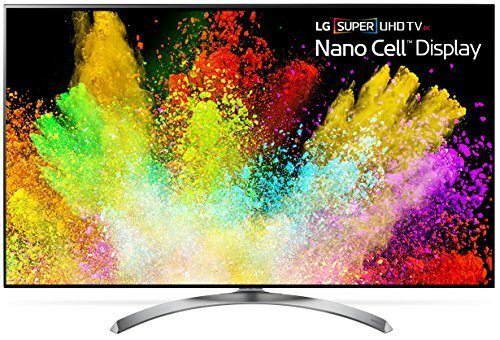 If you are tired of seeing blurry gaming graphics, blurry action movies or blurry sport programs, then we can inform you right away that this 55inch LG doesn't have any of those problems. With a refresh rate of 120Hz, you will not see any motion blur during any fast movements, whether they are in-game or during a live basketball game. Fast moving scenes will become more enjoyable then ever for everyone. If you are interested in lifelike, explosive colors, then the Nano Cell Display will allow you to experience just that and even more. LG made their image quality at least 64 times more rich and vibrant than the picture quality you see on the regular TVs. You will be able to see a wide spectrum of color that is usually only visible in real life situations. The Harman Kardon audio-system implemented in the J8500 will rival even the local theatre. With its deep, resonating sound quality, you will be able to enjoy your movies like never before. There will be no more fighting over seats in front of the 55inch LG TV; since the sound system is powerful enough to engage everyone, from every angle. Why We Liked It - The picture quality of this 55inch LG is what sets it apart from other TV sets. It looks vibrant, engaging, and will engulf just about anyone from any angle, no matter where they are sitting. Like we mentioned previously, Vizio's goal is to move forward with our technology, while making it affordable for everyone. That goal is very well implemented into the design of the Vizio D55. It's affordable, looks great, and works perfectly. 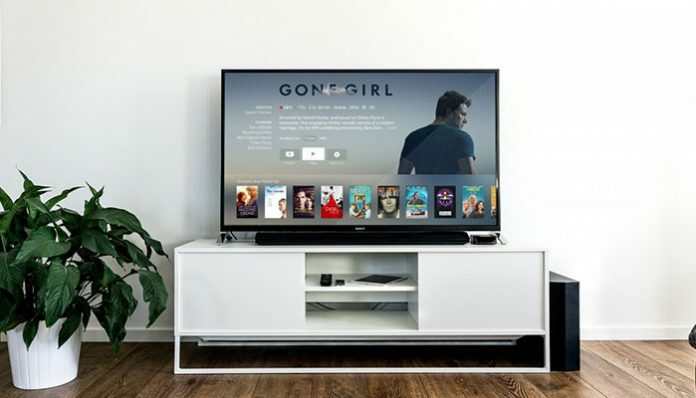 Despite its stunning appeal, the TV also presents us with the regular Smart TV options, such as app access, a stable wifi connection, and clear, non-blurry action. If you have been wondering which TV you should install in your home, we can wholeheartedly recommend this Vizio. Having been on the market for about 2 years now, the TV has already gathered dozens of positive reviews from customers worldwide. Many potential buyers also flock to buy the Vizio because it's an EnergyStar rated product. This means that it was made efficiently, to help reduce those pesky electricity bills. When installing the VISIO 55inch TV you should notice a significant positive difference in the bills compared to your other TV, especially if it was not EnergyStar rated too. The Vizio has an incredible picture, a modern design, and fantastic quality. You will finally be able to experience HD entertainment at a budget that won't rob you of your savings. With the full-array LED feature, the TV is capable of distributing the LEDs that helps provide the viewers with superior contrast on all parts of the TV. Darks and dark, and peak brightness is bright, right next to each other. With the 120Hz refresh rate you will be able to watch TV without worrying about the action being blurred and uneasy to watch. Everyone knows how hard it is to watch sports when you can't feel and/or see the clear movement and/or speed of the players. The Vizio 120Hz refresh rate solves that problem by allowing you to watch all action packed shows with smooth, realistic graphics; no blur included. With a full, quality 1080p HD picture, you will have your eyes glued to the screen within minutes. With over 2mln pixels being combined to provide you with this superior experience, it's easy to see that Vizio put a lot of effort into manufacturing this TV. Thanks to the convenient and easy-to-use app launcher that features all of the apps in a seven-position line, you will be able to navigate through your screen quickly and easily. You will be able to discover, explore and find anything you need within seconds thanks to this intuitive interface. Why We Liked It - Thanks to its sturdy doublestand, it's also ideal for busy homes that are filled with kids and/or pets. It won't fall over easily, that's for sure. Last but not least, we have the Avera 55inch 4K TV. Having been founded in the Orange County, California around the early 2000s, it has been on the market for a good two decades now. They have been manufacturing and launching a series of various technological devices that have been loved by many over the years. From DVD players, to MP3s, to touch screens and HDR TVs. We, however, are interested in the TV launches. In particular, the Avera 2017 from their popular Equinox series. Not only is it a reliable and well-regarded series, but Avera also offers up to 18 months of warranty after purchasing this 55inch TV. With the modern, glossy, dark appeal, there's not much that can bring this 55inch 4K TV down. It has a sturdy double stand and a well-balanced screen that won't be tipping over if you bump into it. The Avera 4K HDR TV also comes with a powerful multi-core processor that allows the interface to run smoothly and without any trouble. This is one of the features that makes Avera so sought-after, since it allows the viewer to quickly navigate the menu and choose within seconds their preferred program. With its fantastic 4K resolution, the Avera 55inch 4K TV allows each viewer to experience a stunning, new world with the 8 million pixels that help create a realistic, vibrant, lifelike picture right there in front of you. The automatic pixel adjustment allows you to watch old and new movies in a 4k HDR, cutting edge picture. Thanks to the superior processing technology, the Avera also allows you to watch old movies in HD. The pixels will adjust themselves accordingly, enhancing the old, dull pictures. Enabling you to watch your favorite old movies and TV shows in a new light, with vibrant, rich, colors. The UOptiTrum Color Mapping tech included within the design of this Avera Equinox 55inch 4K TV will analyze each pixel individually. Giving each pixels and the pixels around it the correct gradients and hues needed to enjoy a fully realistic picture. With Dolby Audio, you will also be able to experience the best sound quality all around the room. From the bass to the treble, combined with a 4k HDR TV screen, you won't want to leave the room. It's truly a unique experience that will make anyone want to sit and not leave! Why We Liked It - While it may seem impossible to get so close to lifelike clarity and color gradients, Avera manages to pull it off splendidly. Buying a 55 inch TV can be an exciting journey. You will have to look at all the stats, all the data, all the information and decide for yourself which TV suits your needs best. These TVs are definitely not a small investment in general, and that's why it's important to think long and hard before purchasing. After all, you will be hosting this new TV in your home for a minimum of 5 to 7 years. Since all the modern TVs nowadays are packed with lots of functions, it can also be hard to know why those functions and features should matter. The truth is, some features don't matter at all for some people, and for some, and they can't live without them. We want to discuss all the main features every modern TV has so that you can have a well-rounded opinion on what you should look for when you are purchasing one. All the features listed below will correlate with the products we reviewed above, so you will be able to go back and decide which TV fits your needs, and the needs of your home, best. First of all it's important to discuss a budget. Most 55inch TVs are less expensive than 60" TVs, and cost around $300-$500 for a standard, reliable TV. You can also get ones for $200, but it's better to invest a few more dollars to ensure you get a working, reliable device that will last for a few years, instead of a few months. In short, a long-term investment will definitely be better for your wallet. Many people complain after purchasing a cheaper TV that its repair alone will allow them to buy a fully new TV. That is in most cases true, that's why we try to encourage customers to be informed about each aspect of the TV they are intending on buying. First of all, what is a SmartTV? All of the TVs listed in our review section have turned out to be Smart TVs, and most TVs on the market today are Smart TVs. A SmartTV is simply a TV that has a wifi connection. Due to the quick rise of fame of Netflix, it seems unthinkable that a TV would exist that wouldn't let you access that program. Originally, these TVs were called "connected TVs", but when Samsung and LG started developing the design, they swapped the name to "Smart TVs", instead. 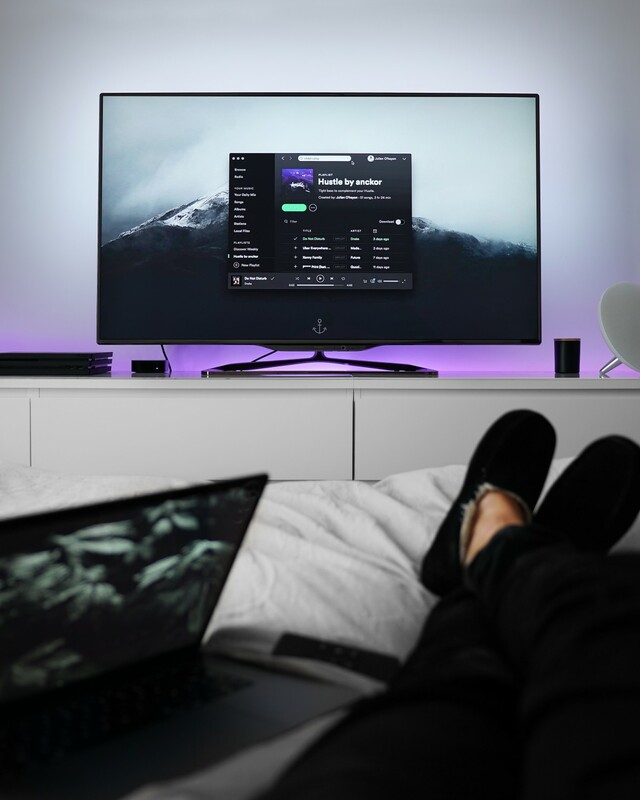 Essentially, SmartTVs allow you to access streaming devices and programs like Netflix, Hulu, YouTube and HBO that allow you to watch movies and TV shows online. Most, if not all, SmartTVs nowadays have built in Ethernet and a wifi support system that will allow you to watch movies and shows with none or low input lag and frustration. This also allows the TVs to connect to your wifi from virtually any room you end up installing the TV within. All those channels of course have their own subscription fees, so buying a TV alone usually isn't enough. However, for unlimited movie and TV show access, it's definitely worth to invest in at least one of those programs on a regular basis. You will also get to browse the internet in a built-in browser that also comes with most TVs. Those may be frustrating to navigate even with a remote, and that's why some TVs have built-in voice navigation to ease the process. Most TVs come with SmartRemotes, and usually those SmartRemotes are designed to not only have their buttons pressed. Even though the interfaces on each menu set-up are designed to be intuitive and easy-to-navigate, constantly clicking buttons can be frustrating. That's why most TVs have included a 'voice recognition' system in the TV remotes to help you get what you want, quickly. All you need to do is speak loud and clear to the remote, you will arrive at your desired destination within seconds. This is no doubt a very useful feature for family members who haven't learned to use the TV yet, or for people who are not as tech savvy. It will help everyone enjoy the TV, no matter how old or how young they are. HDR allows TVs to show more contrasts between the lights and darks on a screen. This may seem like a small, irrelevant feature, however it drastically changes the picture quality. The darks become darker, the lights lighter, and you end up getting a very immersive, almost 3D-looking experience. The hues and gradients also end up being more vibrant because of these changes, which makes each movie feel like a new experience. All of these features allow for a stunning, realistic and lifelike image quality that can be enjoyed by everyone. Video games, movies and TV shows become more engaging, and each family member will want to join in no matter how busy they are. It's definitely an enhancing feature, especially when you take a look at the before and after HDR pictures that often circulate around the internet. Dolby Vision has become a standard feature that is incorporated into many SmartTVs. Dolby Vision does something that HDR10 cannot do. When using HDR10, you will have to set-up the settings of the screen and/or picture from the get-go, and commit to it throughout the whole length of the movie you are watching or the game you are playing. With Dolby Vision, you will get something a bit better. You won't have to do anything, essentially, since the technology will enhance, upscale and adjust each frame and each scene on the go. Each scene will adjust on its own to an HD standard, with good contrast and vibrant colors. Dolby Vision has the uncanny ability to control all the vital light setting of the picture right from the spot, which helps provide a more immersive, lifelike experience when watching any movie or TV show. All EnergyStar rated products help you reduce your electricity bills. All EnergyStar rated TVs allow you to have a more efficient watching experience that allows you to worry less when binging your favorite shows for hours on end. When installing an EnergyStar TV in place of an average TV, you should notice a positive improvement in your electricity bills within a month. It's definitely a good feature to have if you watch a lot of TV, play a lot of games, or have a big family that has members that constantly use its services. 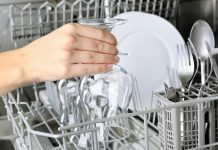 It will help reduce your electricity expenses, and enjoy the TV more when you will realize you won't have to pay a fortune to use it regularly. Each SmartTV comes with its own set of features. Some 55 inch 4K TVs have Dolby Vision, others have only HDR, while others have voice search options and web browser options. It's important to look around and choose a TV that has all the features you need, while leaving out all the features you don't. Some TVs also come in bundles with additional speakers, stands, mounts etc. but most of the time, customers are required to buy those separately. The best 55 inch 4K TV you can get under $1000 is in our opinion the TCL 55S405. 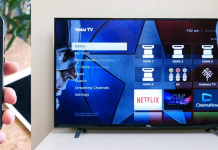 It has a 55" screen, and has the smart home functionality that allows you to access over 4,000 streaming devices and channels through Roku TV. Pairing this service with a 4k HD screen makes this 4K TV one of the best on the market. Clear contrast, vibrant colors and lifelike gradients and hues make this TCL a great choice for any living room. With a 120Hz refresh rate, you will also be able to see all the action-packed movies and video games without even the slightest amount of motion blur, that is rather common in other average TVs. For a budget TV that is priced under 500$, we have to recommend the Insignia 55inch budget TV. With crystal clear video, a personalized interface and easy-to-use set-up, you will be using this TV and getting used to it within seconds. Every family member will be able to easily navigate through the menus, and experience a true, HD image quality. The Insignia budget TV also performs exceptionally well in all lightning conditions, no matter how bright how dark, it will adjust itself accordingly. It's hard to choose on single best 55" TV, since everyone is looking for different features. However, generally speaking, we can wholeheartedly recommend the Sony XBR-55X900F to just about anyone looking for a new TV. If you like action-packed movies and/or video games, this TV is the ideal candidate to be looking at. Check out Sony's X900E as an alternative. The Sony completes action and motion handling in a superior way, not allowing for any input lag or motion blur to occur anywhere. The contrast on the screen is fantastic, and the TV is even relatively affordable, despite its premium features. Buying a 55" TV can be an exciting process. After all, you won't want to wait to use all those stunning features, and see the vibrant, lifelike picture. However, it's important to remember that a TV is a bigger investment than just a one-time purchase. You will still need to pay for the subscription of programs such as Netflix or Hulu, or just regular everyday programs. You will also need to pay for the electricity bills, and maybe for some updated that will come down the road. Either way, we recommend making a very informed and well-rounded decision before committing to one single TV. Going to the local store and seeing the TV personally in its full glory can also help you decide which screen and/or design you like best, what fits your home most. 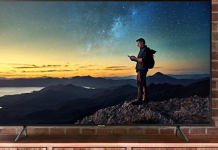 Regardless, we hope that after scrolling through this article you have a better idea on what 55" TVs you can purchase, and what features they have and why they matter! It's important to sum up all the expenses for all of the SmartTV services you will be using (like streaming devices and channels, wifi bills and electricity bills) before purchasing the TV so that you can know your overall, general budget. Some TVs even allow you to stream the contents of your phone onto the big screen for easier navigation. All you need to do is connect both of the devices to the same wifi connection and you should be good to go!